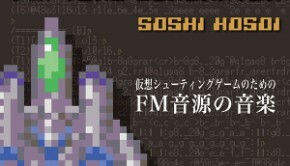 Earlier this year, Soshi Hosoi released an original album titled Music of FM Tone Generator, featuring music that was written for an imaginary shoot ’em up game. 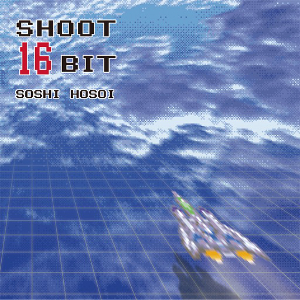 A follow-up album, recently released, titled 16BIT SHOOT continues the cycle with more imaginary shmup music. How does this compare to the first album? 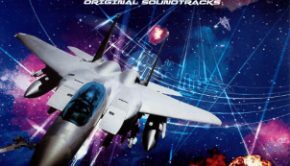 The majority of the album is dedicated to the stage music, and rightfully so, since they make up the majority of the actual game in a shmup. “Stage 1” features a great melody, conjuring up images up flying through the air and an invigorating tone. The B section is of particular note. “Stage 2” is a bit more dramatic and space-like in approach. The melody itself is quite wonderful and also a bit funky. 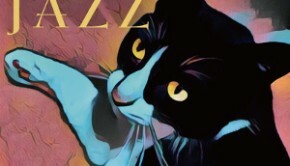 “Stage 3” continues the good news with an intense rock/dance oriented piece with an excellent B section melody and catchy beats. On the other hand, “Stage 4” is a much more dramatic, dark, and ominous tune that doesn’t reach the same heights as some of the more melody forward pieces. “Stage 5” brings back the upbeat tones with its bubbly nature, great progression, and fun melody. Lastly, “Stage 6” combines dramatic flair and intense percussion to create a fitting final stage piece. There’s also a bit of a Japanese vibe thanks to the shamisen-like FM synth. There are also three more substantial themes on the album, excluding the short-lived “Game Start” theme. The first, “Boss,” is suitably intense with an industrial vibe to it with glimpses of heroic sounds in the melody line. The melody, when present, works well with the rock influenced piece. “Ending” is an interesting piece that gives off an atmospheric sound, yet still gives a sense of closure with its softer melody. 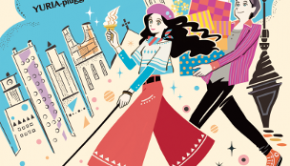 Lastly, “Name Entry” is an upbeat, pop-inspired tune with a joyous sound overall and an interesting use of percussion. It ends the album on a positive note. In the end, 16BIT SHOOT is a much more successful endeavor compared to Music of FM Generator. The tunes are much more substantial in length and mostly provide a very entertaining listen from start to finish. Fans of Soshi Hosoi’s 90s arcade shmup music will certainly find something to enjoy on this album. Posted on October 4, 2016 by Don Kotowski. Last modified on October 4, 2016.